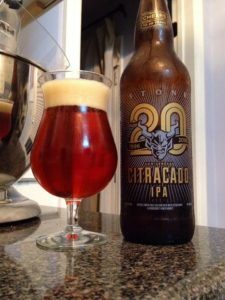 Stone 20th Anniversary Citracado IPA is an American Double/Imperial IPA brewed with Citra hops and Avocado Flower Honey, 9% ABV. Bottled on 08/06/16, opened on 09/19/16. Congratulations to Stone brewing on twenty years of brewing excellence. You probably already know this, but these guys brew a new IPA every year to celebrate their anniversary. I look forward to the annual Anniversary IPA release, always worth a try! This beer is already a surprise thanks to the appearance. Much darker than I was expecting with a rich copper color that has some intense orange highlights. The beer is crystal clear with a dense light tan head. 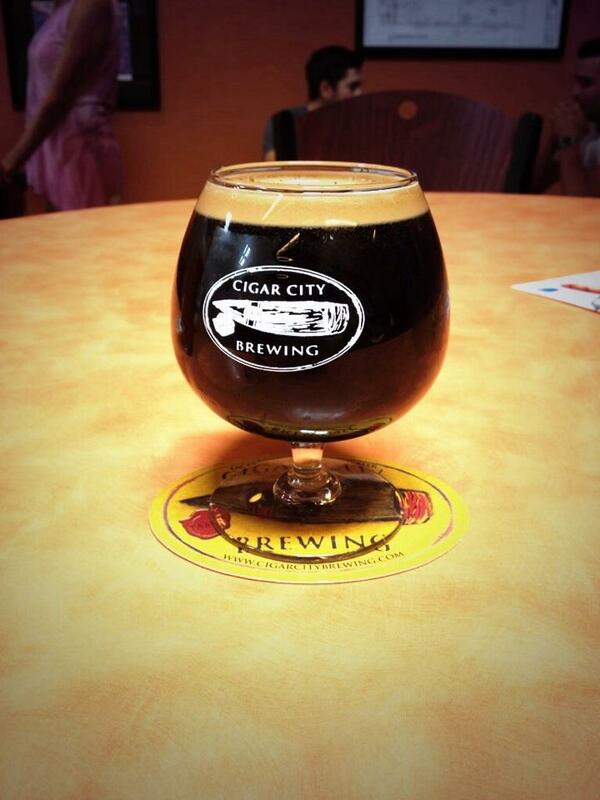 Almost before I could get the first look at this beer the aroma came flying at me. All those Citra hops are working some overtime, so juicy with a ton of citrus and tropical fruit notes. Some additional underlying pine, melon and honey are on the nose as well. And then, of course, the taste is totally different than the nose. Sweet caramel malts start the taste and are followed by flowery honey. I have never had avocado honey, but from this experience I will assume it’s rather floral and sweet. Some bitter grapefruit pith and pine resin lead to a strongly bitter finish. Although the bitterness is a bit intense it does really help balance all the sweetness from the front end of the taste. I am seeing some mixed reviews of this, which I can understand, but I am enjoying this one quite a bit. This beer had a few tricks up it’s sleeve, you never really know what to expect from a Stone Anniversary IPA.